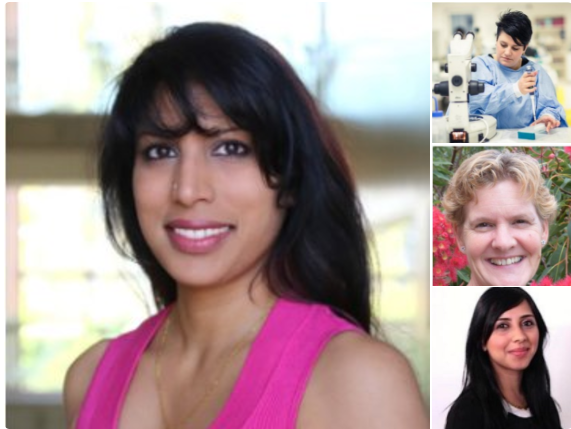 Four superstars of STEM at Uni of Adelaide: FSM congratulates the Stars of STEM, including our very own Dr Pallave Dasari (main picture)! Homeopathy company investigated over ebook advocating treatment of babies: Australian drug regulator’s advertising compliance unit examining whether book breached regulations by promoting ineffective remedies. Are ‘needle-like’ nanoparticles found in Australian infant formula dangerous? This is another in the long line of health scares by people pushing agendas. “People tend to cherry pick. They tend to choose which science they want to believe. They don’t necessarily reject all of science just because there’s one piece of it, but I do think that the public has been deliberately confused about what is the consensus of scientific opinion and what qualifies as good science. Insulin: The Canadian discovery that has saved millions of lives: This is the story of the insulin as a treatment for type 1 diabetes. Diabetes is caused by damage to the pancreatic islet cells, the source of insulin. In 1922, Dr. Frederick Banting and Dr. Charles Best injected an extract of pancreas into a boy dying from diabetes. He recovered and was healthy as long as he got a daily injection of the extract. The extract contained insulin, the substance necessary for proper glucose uptake by cells. Today, people use glucose monitors and insulin injection or insulin pumps to manage their blood sugar. Their lives are more of less normal but they still need to be supplied with insulin and will for the rest of their lives. But the wave of the future for type 1 diabetics is pancreatic islet transplant: replacing the damaged islet cells to remove the need for injected insulin. This treatment, though effective, still has drawbacks and researchers are working to make it better so diabetics can be freed from blood tests and injections forever. Asthma breakthrough: Antibiotic used to treat lung disease can reduce attacks, study finds. NCE Asthma may be managed with a repurposed antibiotic. Azithromycin is an antibiotic (bacteria-killing) drug that also has anti-inflammatory properties. In a world-first, scientists at the Hunter Medical Research Institute have tested Azithromycin in asthma patients – and found a 40% reduction in asthma attacks. More studies are required to fully understand how best to use this treatment, but it represents a promising step in the effort to manage asthma. People with HIV can now live long and healthy lives, with little risk of passing on the virus. However, this is only with appropriate management and therapy – it is important that the fear of a HIV diagnosis does not prevent people being diagnosed or seeking treatment. The Placebo Effect Is No Excuse To Buy Junk: We all swear by something that we know probably doesn’t work. Maybe it’s vitamin C when everyone at work has a cold, or #bootea while we diet, or compression socks while we run. “Even if it doesn’t work, what’s the harm?” we tell ourselves. The truth is, it’s not harmless, and we’re only fooling ourselves. “Pragmatic Studies” : Emergency acupuncture: This study was a “non-inferiority” study, where the author attempt to show that therapies are “equivalent” rather than to demonstrate superiority to placebo. Also known as a pragmatic study. As we have pointed out before, a pragmatic study is only valid when testing a modality that has “already have been demonstrated to work in randomized clinical trials.” A pragmatic study can show unexpected interactions, but it can’t demonstrate positively that something actually works. The same rules apply here and acupuncture has not been demonstrated to be credibly better that placebo. In this case “Neither the patients nor the practitioners were blinded to experimental group. Those who assessed pain scores were blinded, and so were the statisticians who carried out the analysis. Thus, the potential for placebo effects was maximized.” Despite this “The acupuncture only group received significantly more rescue medication therapy than the groups that received pharmacotherapy … Oral opiate medication was offered as first line rescue medication to patients in the acupuncture group and parenteral opiates to the two pharmacotherapy groups.” A yet the authors still conclude that that acupuncture needs to be investigated an explored for use by emergency staff. Diagnostic Ultrasound: Originally adapted from SONAR technology then used as an ablative surgical tool, ultrasound imaging has become fast, accurate, portable, extremely safe and capable of providing useful information from accurate 3D images of unborn babies through to assessments of heart function. Health Check: what can your doctor tell from your urine? : Doctors request a urine test to help diagnose and treat a range of conditions including kidney disorders, liver problems, diabetes and infections. Testing urine is also used to screen people for illicit drug use and to test if a woman is pregnant. Urine can be tested for particular proteins, sugars, hormones or other chemicals, certain bacteria and its acidity or alkalinity. Doctors can also tell a lot from how your urine looks and smells.